On the back of a stellar 2018 season where we had over 150 competitors, OTG Footy Tipping is BACK for 2019! Earlier this week, the world observed International Women’s Day so this this HoOT interview is the first with one of our WoOTs. Joan’s relatives who attended Trinity include old boys from the Weatherson, Smith, Wardrop, Emmett, Martin, Young and Bright families. We’re not aware of anyone with more relatives educated at our school! When you add to this that her Uncle Fred was one of our headmasters, we suggest it allows her to claim the title of the “Grande Dame of Trinity”, not that her humility would ever let her. On winter weekends, Joan can be found pitching in and helping our OTGA football club in any way possible. Nothing would please her more than to see those efforts contribute in some small way to the clubs first A grade flag. “"My mindset across the board for teaching is to build relationships with students - if you do that, everything else falls into place, whether it be teaching, or managing behaviour, or students who are having a hard time. So I prioritised building relationships, and the banter you can have with students at Trinity is world class." “When I left the Army in 2008, I went through a recruitment agency. Even at that point, I thought it would be great to have an agency that I could talk to from a soldier’s perspective - to not have to try to be a civilian person, with civilian qualifications, which at that point I wasn’t” says Glen. “After a few years in Industry I realised the importance of employers truly understanding the unique experience and skills that veterans have, to look beyond a CV". "I loved Trinity’s co-curricular programs as a student, and I still love them all as a staff member. And that’s great, because when you love doing something, it’s infectious. It makes other people want to get involved when they otherwise wouldn’t have. That’s how I got into stuff like touch rugby and bushwalking as a kid. Bushwalking’s never been in the Amiconi name, but I saw one of my mates loving it, so I came along and tried it and I loved it too. That feeling of trying something you never would have because you saw the passion someone had for it – it’s just as real for me as a staff member now as it was for me when I was a student." In April, Dr Murray Verso (OTG 1966), Patron, and the Headmaster, Dr Michael Davies, were delighted to welcome Peter Casey (OTG 1973), Rodney De Boos (OTG 1966), Rodney Lyle (OTG 1972), Duncan McPherson OAM (OTG 1977), and Garry and Deborah Ringwood to the Tunga Society. Each new member was presented with a bequestor pin to symbolise their involvement and their contribution to Trinity. Earlier this year, I met Tom at his current workplace, Edwards Lifesciences, in Shanghai, China, where he is General Counsel and Director APAC and Japan. During his in-house legal career he has worked in the US, UK, and Hong Kong with Colgate-Palmolive for eleven years, GE for three years and Kingfisher/B&Q for six years. Check out the latest news from the OTGA's five sporting and social clubs. Recently I enjoyed/endured the opportunity of a lifetime: walking the Kokoda Track with my son (Matthew) along with 29 other Year 11 students, staff and dads who are connected with the School. 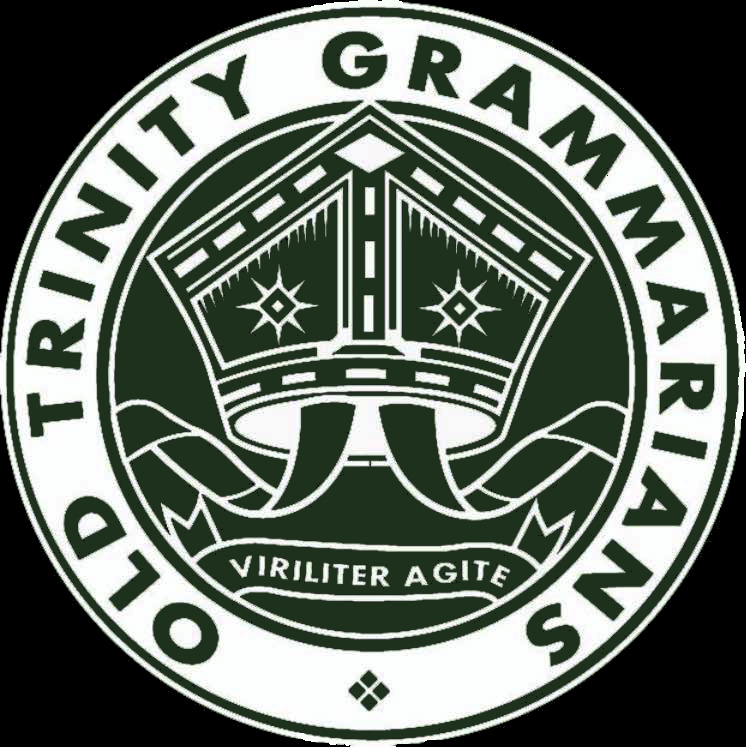 Four of the dads were Old Trinity Grammarians from the 1979 and 1980 cohorts. The walk was as much about the history of Australia’s efforts to protect its mainland borders as it was about the physical challenge of walking the distance. We all read many books before leaving, but nothing prepared us for the emotional reality of being at precisely the same locations where our troops achieved and endured so much. Sadly three of Trinity’s innovative and creative past students have passed away. Check out the latest news of OTGs from the 1960s to the 1970s and their personal and career milestones at home and around the world.